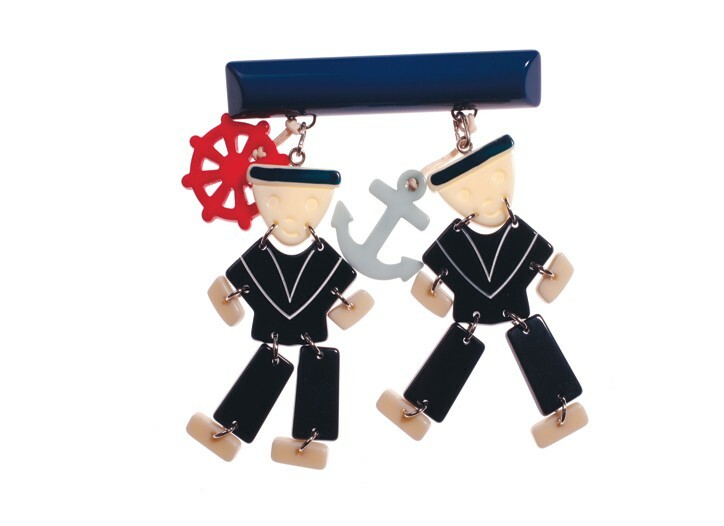 Nautical Gifts and Goodies any Preppy Will Love! It has been some time since we really grazed all of the goodies available with a nautical theme. It is time we do so again, don’t you think? We dedicate our post to Miss Kate, who is always so very Nautical by Nature. From Kayce Hughes, the red anchor necklace at $40. From Stella McCartney’s Resort 2008/2009 collection, the absolutely TDF earrings. TP lusts after these, and cannot await the time the Resort collection arrives. If seeking goodies geared specifically to the holidays, the Caribbean Sea Life Ornament Set from Nautical Luxuries might wet your whistle. Also from Nautical Luxuries, the Sailboat Needlepoint Baby Slippers that are miniature works of art. These are handmade, lined in kid leather, and sure to be the talk of the baby shower! 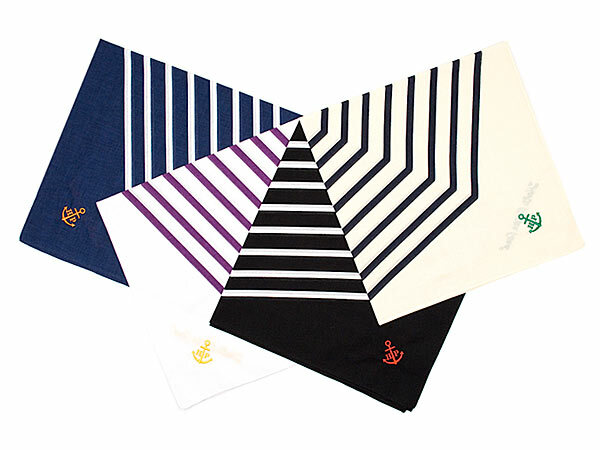 From Head Porter Plus, the elegance of the cotton handkerchief, although we could do without the extra logo-ing. 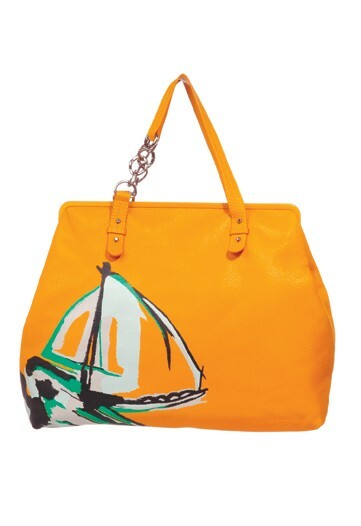 A bright and buoyant handbag from BCBG…. While planning what to pack for this winter’s Caribbean getaway, the Pegleg NYC tee for kids is a must. Naturally the same style in a Trident motif is also a favorite here at the Prepatorium; both are $52. Table linens with a nautical theme sometimes veer perilously close to “too cute” IOHO, (In Our Humble Opinion), a risk minimized with these. 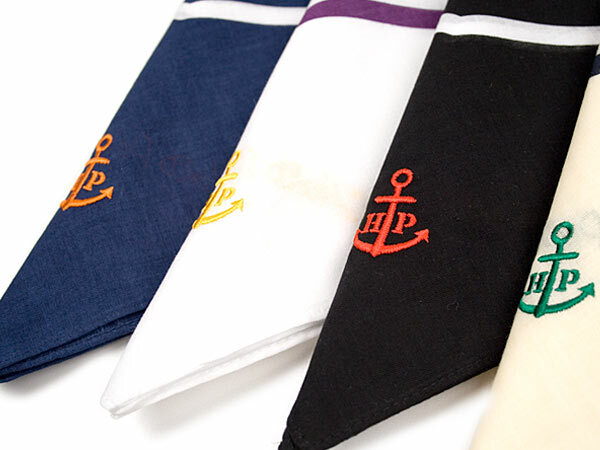 The napkins are covered in elegant little anchors and they are 100% cotton, machine washable and best of all? They are reversible, so you get two looks for one price, $18. One never have too much stationery, and it always makes a superb gift, especially when for the Young Miss or Master in your household. It helps get them started on the proper method for conveying a ‘Thank You,’ adding a touch of whimsy to the tortuous task. The ‘Hope Anchors‘ notecards in a red ticking stripe are an outstanding selection, as are the ‘At the Helm’ notecards. Both make an elegant style statement; they are $22 for a box of ten cards and eleven envelopes. The Brass Signal Flags Plaque might make a great gift for someone with a love for the sea; the Bowlines Pub Sign is on sale (*really* on sale), both at Nautical Supply Shop. This one is similar to a tote The Princess carries: the Paul Smith Boat Plans Bucket hat at Saks. Here is the aforementioned tote, The Hamptons bag at the Preppy Princess in both white and navy. These are fabulous because they are so large 19″ x 13″ x 9″ wide, so there is more than enough room to carry all your goodies to the beach, or your groceries, perhaps toys to occupy the little ones while you are busy. Best of all, these are constructed of a heavy, coated cotton canvas, so they are water-resistant. Not to worry about the spray from the water when on the boat. Below, a close-up showing the detail in the drawings and also a shot showing the generous size. In our silly segment, here is a beach towel one might stow on board where no one will lay eyes upon it. Why? Perhaps the design, with that wretched crown up top, rather dreadful on its own merit, but the real reason one would tuck it away? You couldn’t bear having friends know you spent $260 on a towel for the boat. A far more practical (and we are nothing if not practical here at the Prepatorium) treasure? The Anchor Repeat Foldover Notecard set by the brilliant designers at Boatman Geller. Personalization is included with this set of 25 notecards offered at $66, and shipping is free. In a recent post we showed jewelry by Erickson Beamon, the next jewelry designer to do a capsule collection at Target, and also favored by Michelle Obama. Here is a little nautical treasure from the company, the Anchor Necklace, 4″ wide on a 32″ chain, so it is large. This can be yours for $258 at Blue Bee. A few final items now, starting with the Old School placemats, $16 each, 2 for $30, or even better savings with a set of 4 running $55. These are reversible, with the classic Lighthouse grosgrain ribbon on one side, and the definitive rep tie stripe on the other, they are also machine washable, you know we love these! 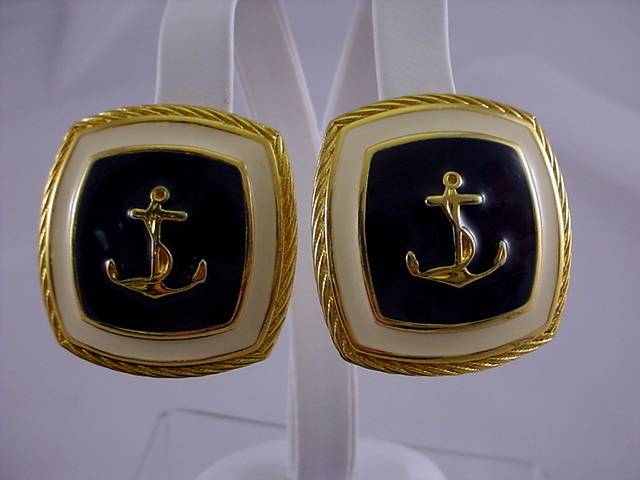 We leave you with a bit of nostalgia: a pair of vintage earrings worn by the Queen Mother, circa the 1970s. We must fly, we are late for a luncheon. Do have splendid weekends, wherever you may be!